The 8.1 offers some serious specs for a relatively budget-friendly device, including a 3,500 mAh battery, up to six gigs of RAM, and Android 9 Pie out of the box thanks to Android One. It also sports Nokia's minimalist aesthetic in three color combinations: Blue/Silver, Steel/Copper, and Iron/Steel. 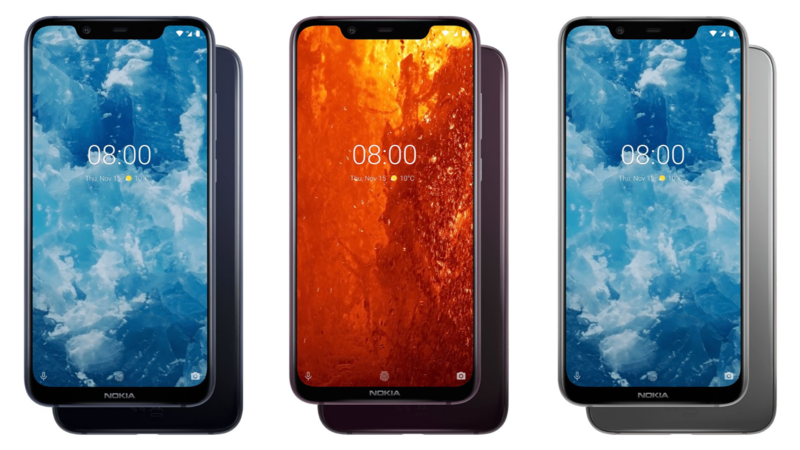 We'd expected the 8.1 to be called the 7.1 Plus internationally; Nokia says the decision to bump the number up instead was in the interest of simplifying naming conventions. The phone will go on sale with an average price of €399 (that's about $450 for us Yanks) starting in mid-December, although local availability is yet to be announced. You can find more information and sign up for updates at Nokia's website.